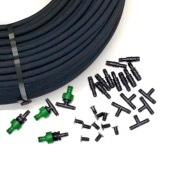 To provide customer with quality, efficient products, we offer a comprehensive range of Ready Made Kits containing leaky pipes and all the necessary fittings for watering hedges, gardens, rows of vegetables, fruit gardens or borders. ✔ Instant, reliable answers for successful establishment and growth of hedges, trees & costly plants in soft landscape developments and gardens everywhere. Spend less time watering your garden and free your time for fun with this selection of watering kits. Among them, you will find the most adapted watering kit for your area. Available in many different lengths, our Leaky Pipe Watering Kits are suitable for any size of garden. We also offer specifically designed Landscape watering kits to cover all our customers' need and to offer reliable irrigation systems. Have a look at our automatic watering systems for small gardens & large garden automatic watering systems for more suited products. This range of comprehensive kits includes everything you might need to set up an Automatic Garden Irrigation Watering System for your garden. 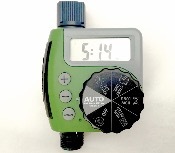 LeakyPipe, Connectors, Supply Pipe, Tap Timers and pressure regulators in the larger kits. Kit size from 100m to 450m of LeakyPipe. A specially designed LeakyPipe, ideal for watering new hedges and established hedges. 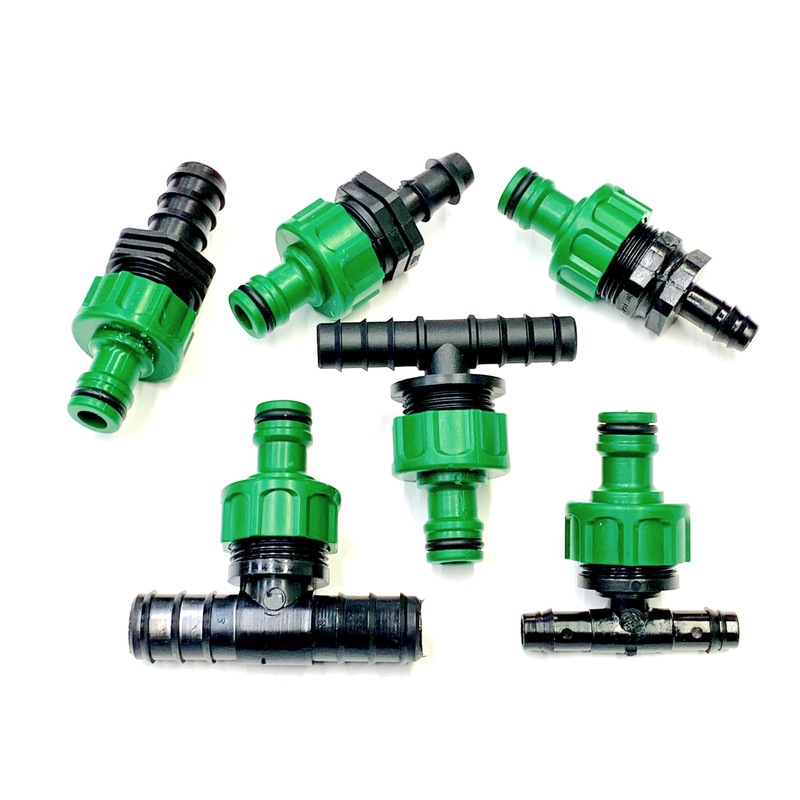 Kits include LeakyPipe Connectors, and HoseSnap fittings to connect to your hose. Our Cheapest Get Started Kit is here! 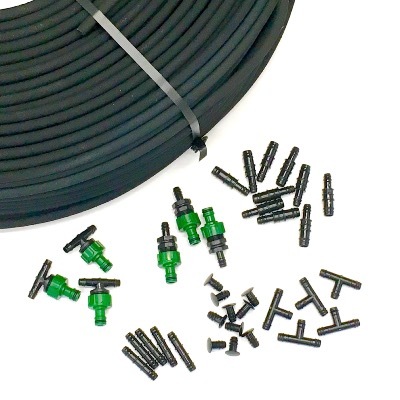 These kits include LeakyPipe and a variety of useful connectors to make an easy garden watering irrigation network in your garden. Easy to install in a single or multiple flower beds or borders. Can also water individual trees or shrubs. 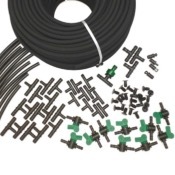 HoseSnap connectors are included to allow easy hook-up to your garden hosepipe. Kits vary in size from 50m starter kit up to a 250m kit for larger gardens. 2 sizes of kits including specially designed LeakyPipe for watering your vegetable garden or plot. Just add Hosepipe to create a manifold to water multiple rows of vegetables. Isolation taps allow shut-off of unplanted areas. HoseSnap connector included to allow easy hook-up to your hosepipe.